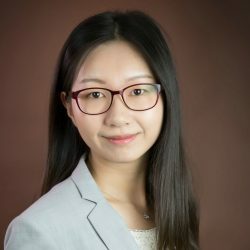 Ziyun Wang has more than 4 years of experience in applied statistical research, data analysis and mining, qualitative research, and cost analysis. She is proficient in statistical modeling and machine learning, with extensive experience working with health and human services data. Wang supports data management and statistical analysis work for the Survey of Public Participation in the Arts, National Home Visiting Resource Center, and Evaluation of the Capacity Building Collaborative. She provides technical assistance in designing analysis plans, conducting data management, and analyzing data to address research questions. Prior to joining JBA, Wang worked as an intern statistician at the Centers for Disease Control and Prevention. She received an M.S. in statistics from the University of Virginia.